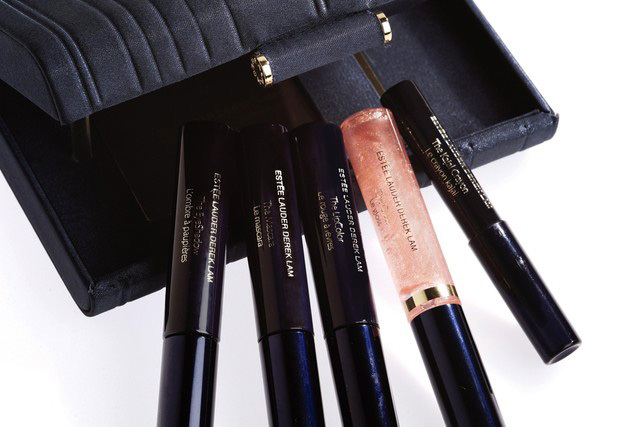 Estee Lauder announced today the collaboration with fashion designer Derek Lam for the upcoming Spring 2014 Makeup Collection. The new Derek Lam Collection will be released in limited edition and allows the designer to stick his toe into the color cosmetics pool. As a sneak peek I will tell you that the navy blue clutch will retail for $85.00 and includes a lip gloss in Barely Gold, Lip color in Smoked Blush, Eyeshadow in Smoked Gold, Mascara in Black Black and Kajal Crayon in Near Night. Are you excited about this collaboration that will reveal a new makeup collection?